Be prepared for an off-Strip shock: Phase one of the Palms Hotel Casino’s $620 million renovation is flat-out breathtaking. 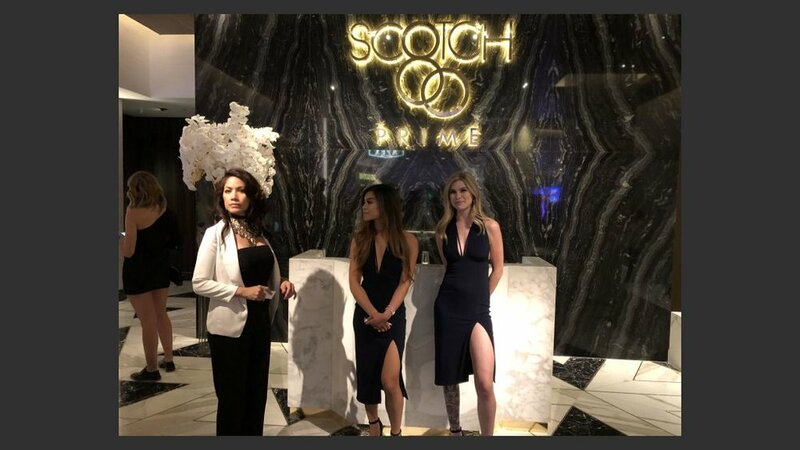 On Thursday night, hundreds of invitation-only guests who got the first peek didn’t recognize the former N9Ne Steakhouse space, now known as the Scotch 80 Prime steakhouse. You’d be hard-pressed to envision where the bar was where Britney Spears fed shrimp to her tiny Chihuahua. Or the table where a nervous waiter spilled mashed potatos on the lap of former President Bill Clinton. He got a presidential pardon. Or where O.J. Simpson, Floyd Mayweather Jr., and LeBron James held court with their entourages. Those halcyon days are long gone, but not forgotten. The Fertitta family, owners of Stations Casinos, spared no expense in the dramatic makeover which had become one of the most anticipated events in years. They purchased it two years ago. Awaiting the guests in Scotch 89 prime was an extravagant buffet. Media members couldn’t recall the last time lobster, king crab, and prime beef were served for a renovation! The Fertittas were sending a message: This is not Palms that had fallen on hard times for much of the past decade. That’s why they rolled out the “From Dust to Gold” marketing campaign. They made popular hires, first by keeping Barry Dakake as executive chef, and then luring Jon Gray back to Las Vegas from a top executive job with Nike in Portland to become vice president and general manager. The Fertittas and Gray made sure the Maloof Family, former owners of the Palms, were invited. 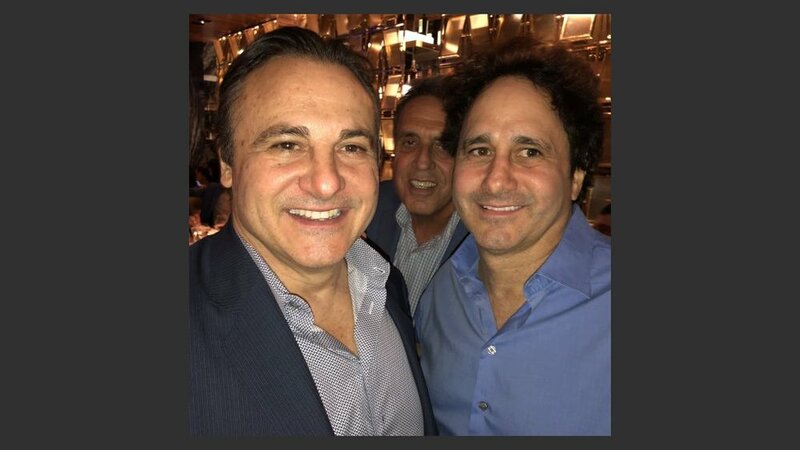 George and Gavin Maloof were with friends at Scotch 80 Prime. They brought along NBA superstar Demarcus Cousins, a member of the Sacramento Kings when the Maloof family owned the NBA team. George Maloof turned the Palms into celebrity central during a redhot run for most of a decade, starting in 2001, only to lose control of the company when the economy collapsed in 2008. The family lost the Kings as well, during the Great Recession. Now they are riding high again as minority owners of the Vegas Golden Knights, who are two games away from reaching the NHL Stanley Cup finals in their against-all-odds inaugural season. Jim Dolan, executive chairman of Madison Square Garden Company, was at Scotch 80 Prime with his son, Winton. He oversees the New York Knicks, the New York Rangers and the New York Liberty WNBA team. 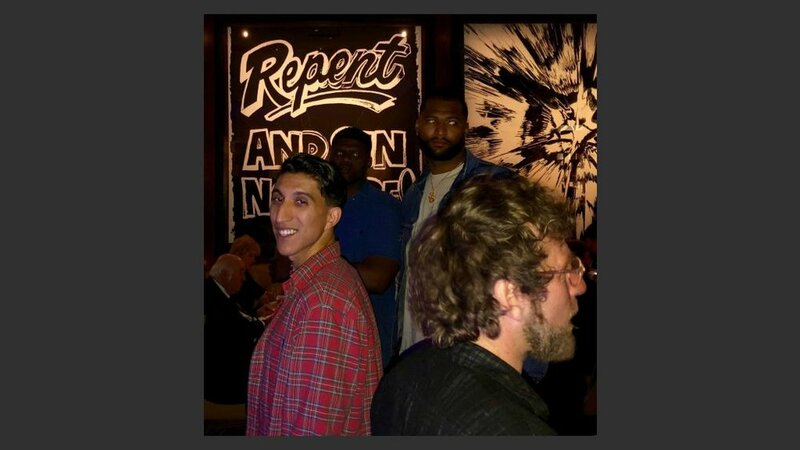 Upstairs at Apex Social Club, I ran to Tao executives Jason Strauss, Noah Tepperberg and Rich Wolf, taking in rapper J Cole’s mini-concert on the observation deck at the former Ghost Bar. Outside Camden, the toney lounge operated by Andy Masi and his Clique Hospitality nightlife company, was longtime Las Vegas superhost Anthony Brandonisio, now with Station Casinos. He’s vice president of player development after stints at the MGM Grand and the Palms. Also at Scotch 80 Prime, Francesco Lafranconi, former director of mixology and spirits education at Southern Glazer Wine & Spirts, shared some news. He is turning the former third-floor high-limit Mint lounge at the Palms into an Italian piano bar. 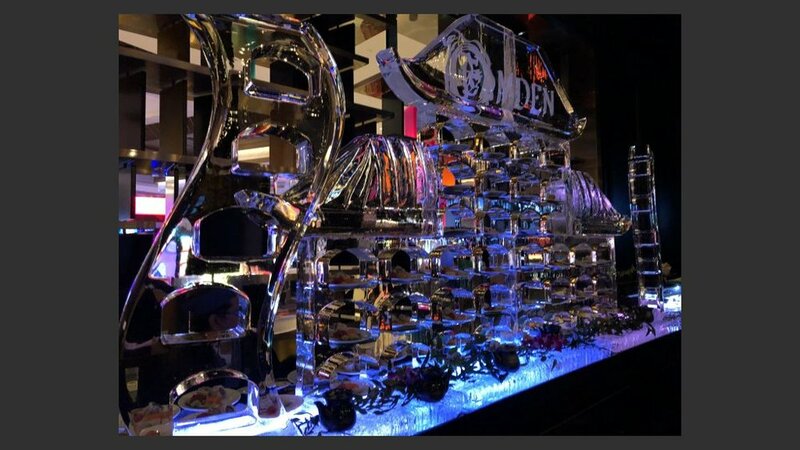 He with his girlfriend Chiachi Kuo, general manager of the Blueribbon at the Cosmopolitan. KTNV-TV, Channel 13 was well represented by morning anchor Dayna Roselli, “Morning Blend” co-host J.J. Snyder and producers Julie Pyle and Micah Manolo.